The words ‘mass’ and ‘weight’ are frequently used interchangeably, and both are determined by weighing, however, in terms of laboratory balances and scales, the difference between the two is key. Mass measures the amount of material in any given item, is independent of location, and remains the same, no matter their environment. Mass is measured via comparison using a laboratory scale and balance. The kilogram is the SI unit of mass; it is equal to the ‘International Prototype Kilogram’ (IPK), the original object from which the measurement derived. An object’s weight is how hard gravity is pulling on the mass, as a force. The SI unit for weight is the Newton (= 1 kg x m/s2). An object with a mass of 1.0 kg weighs approximately 9.81 Newtons on the surface of the earth (mass multiplied by earth’s gravity). The weight of an object on a mountain will be less than at sea level, due to gravitational variations - a high accuracy balance or laboratory scale will detect such differences. The redefinition of the kilogram is scheduled for 2018. Supporting Redefinition of the Kilogram offers further reading about the change. Although mass and weight are different entities, the process of determining both weight and mass is called weighing. How do electronic balances work? What is the electromagnetic force compensation principle? With mechanical balances, a sample is placed on one end of the beam, reference weights on the other, until it is perfectly balanced, the sum value of the weights representing the mass of the sample. Electronic precision balances, analytical balances, and microbalances in high accuracy classes work with a sensor based on electromagnetic force compensation. A coil on a free movable beam is inserted in a permanent magnetic field. An optical electronic sensor current maintains its position, controlled to an accuracy greater than one thousandth of a millimetre. The sensor records vertical position changes when the pan is loaded which is used to change the current in the coil to return to its initial position. The more weight is added to the pan, the more current is needed to compensate it, this is digitized on the display. Common laboratory balances and scales types are ultra-micro, micro, semi-micro, analytical, and precision balances. The readability of a balance is the smallest difference between two measured values that can be read on the display. With a digital display this is the smallest numerical increment, also called the scale interval. The readability of a balance is not equivalent to its weighing accuracy. Several properties may limit performance. The most important are repeatability (RP), eccentricity (EC), nonlinearity (NL) and sensitivity (SE). 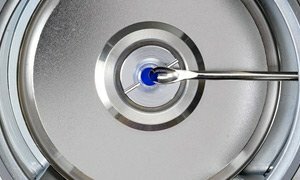 Our Laboratory Balances and Scales video course Basics and Weighing Influences explains basic concepts of good weighing practice. 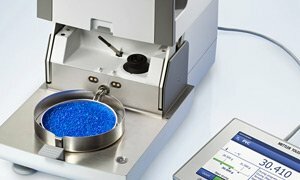 How to select the right laboratory balance or laboratory scale? Make sure that you select a lab balance or laboratory scale that meets YOUR process requirements and respective tolerances. 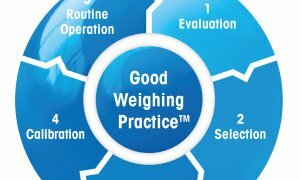 Good Weighing Practice™ (GWP®) is a universal approach to selecting and testing weighing instruments. A global standard, it can be used in any industrial and working area for new or existing weighing systems. GWP® provides documented evidence for reproducible weighing results in accordance with all current quality standards. 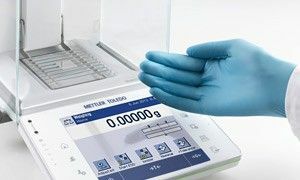 The minimum weight of the weighing instrument for the accuracy required - including the safety factor - must be smaller than the smallest sample expected to be weighed by the user. What is the resolution of a laboratory weighing instrument? The resolution is the degree to which change can be detected, usually expressed as a number of points. It is the capacity (in g) divided by the readability (in g). 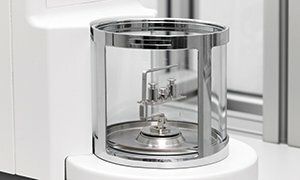 An analytical balance or scale with a capacity of 200 g and a readability of 0.00001 g has a resolution of 20 million points. METTLER TOLEDO’s highest resolution comparator is the M1 mass comparator, with 1 billion points. Which tolerances are applicable in weighing processes? Tolerances determine whether a lab balance or lab scale behaves "well enough" to meet process requirements and how much deviation is permittable. Tolerances set the criteria to issue a Pass/Fail statement. Tolerances come from a variety of sources, including legal agencies, manufacturing industries, and the process itself. Specific process tolerances defined by the user, support process improvements and savings on material, waste and rework. For laboratory scales in a legal for trade application, process tolerances should be applied in addition to legal tolerances. 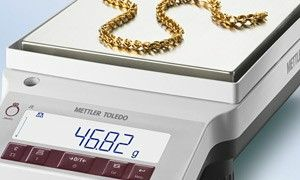 For more details on METTLER TOLEDO's GWP Verification® visit: Good Weighing Practice. Legal tolerances protect consumers but do not consider specific producer requirements. 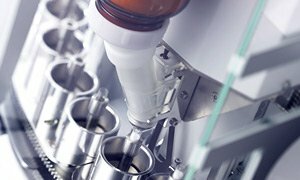 Optimising process tolerances can have a large impact on process profitability. 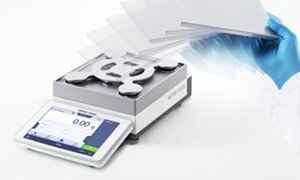 Exceeding the limits of weighing: Excellence Microbalance and Ultra Micro Balances display unsurpassed accuracy even with the smallest of samples. Gold and Carat Balances, Stent- and Filter Weighing Solutions, Calibration Solutions for Micro-, Single- and Multichannel Pipettes - we offer a broad portfolio tailored to your special needs. 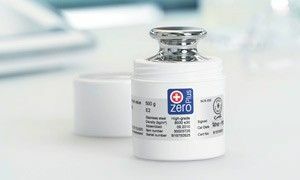 The Excellence balance range from METTLER TOLEDO offers many innovative features, built-in applications and useful accessories which have been carefully designed to meet the needs of our customers around the world. One of which should certainly provide the right answer to your specific weighing process. This “Solution Guide” introduces some of our unique and innovative solutions - our answers to your daily challenges! High quality printers and label printers with dot matrix or inkless thermal transfer technologies for better data management, less transcription errors and faster processes.